The Video Game Debate Book Review — GamingWithSwag.com - Dads By Day, Gamers By Night. 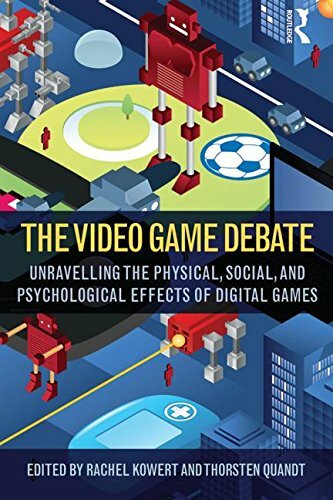 The Video Game Debate is one of the most unique video game publications on the market today. I am highly impressed at the amount of research that was done on the various topics, as well as the editing and compiling done by Kowert and Quandt. Important questions are asked, such as is there a scientific link between violence and video games? The media usually will tell you "yes" every time a news story is aired where a violent crime is attempted to be linked to a video game. What about obesity and video games? Or does using exercise games like Wii Fit actually have health benefits? As a parent of two boys, all of these questions that are asked are important to both me and my family.